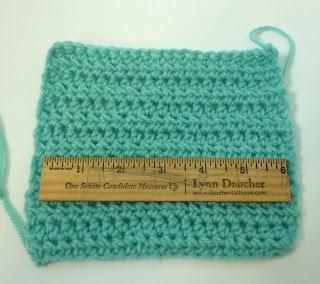 So I crocheted a swatch. I thought you might be interested in swatching, so I'm going to share what I know. 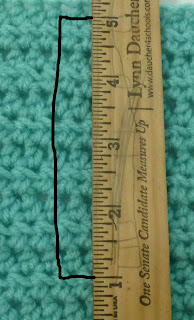 As a bonus, you'll be privy to the awesomeness that is the 'correct' gauge for the London Crochet Bag! Ahahaha! 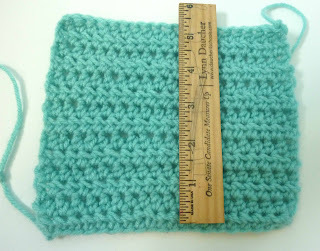 Okay, so I made my swatch 20 stitches wide and 14 rows long. You don't need to measure the entire swatch, the most accurate sample of your stitch gauge is found in the center of the swatch. On my swatch, if you count it in the picture, you'll see that I get twelve and a half stitches measuring from the 1" mark to the 5" mark. I'm going to round that up, since it's more than 12. 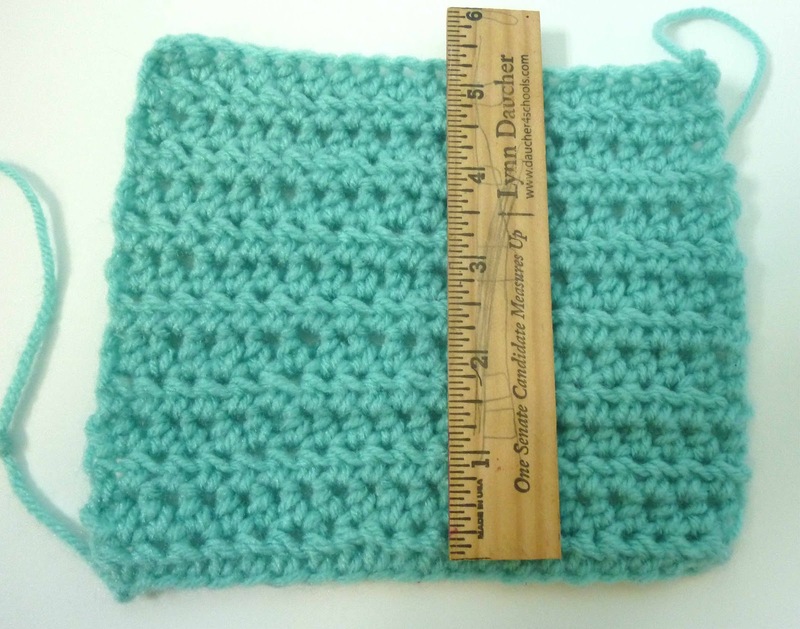 **This works for bags and scarves, but if you're crocheting a sweater that half stitch would be a big deal over a couple hundred stitches. Designers don't round up on clothing. 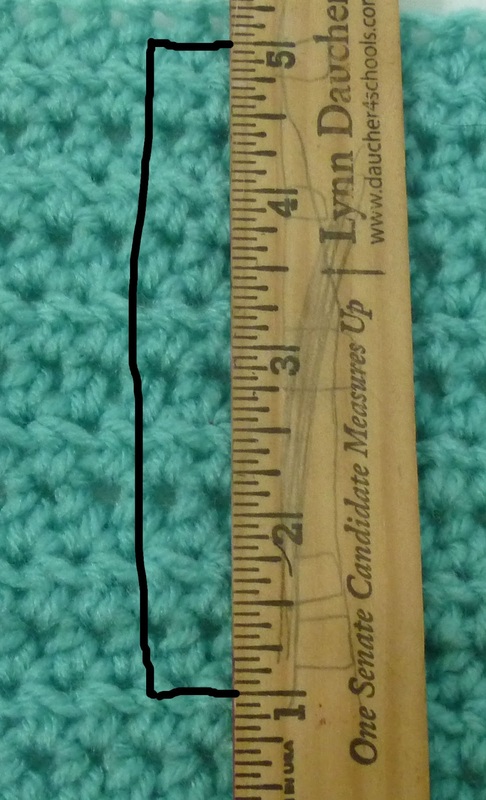 ** So my measurement is 13 stitches = 4 inches. This is the most important number in a gauge measurement. 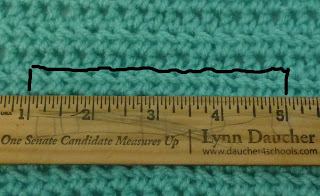 The row measurement is taken across the swatch in the other direction. Measuring from the 1" mark to the 5" mark gives us a measurement of 10 rows = 4 inches. This measurement is harder to control than the stitch measurement. 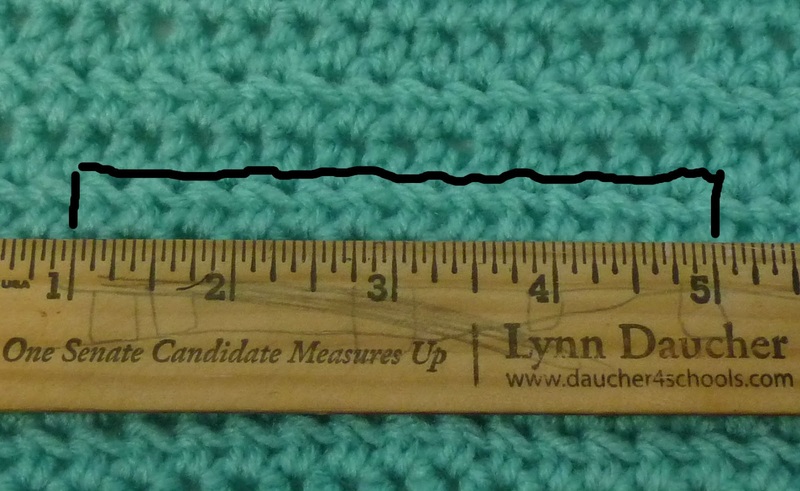 If your measurement is waaaaay off, you might want to adjust the yarn and hook, but if you're close (and the stitch gauge is dead on... or close to it) I wouldn't worry about this number. Bleh. I hate gauging. Let this be a lesson to me.